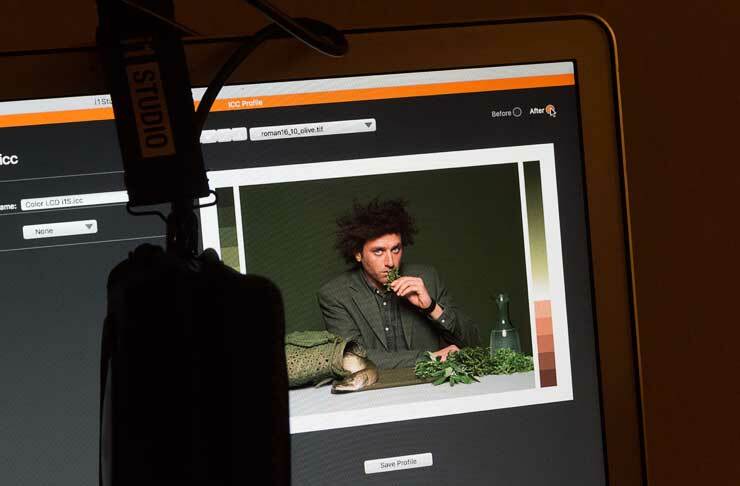 Keith has been trying out the new i1Studio colour management kit from X-Rite. 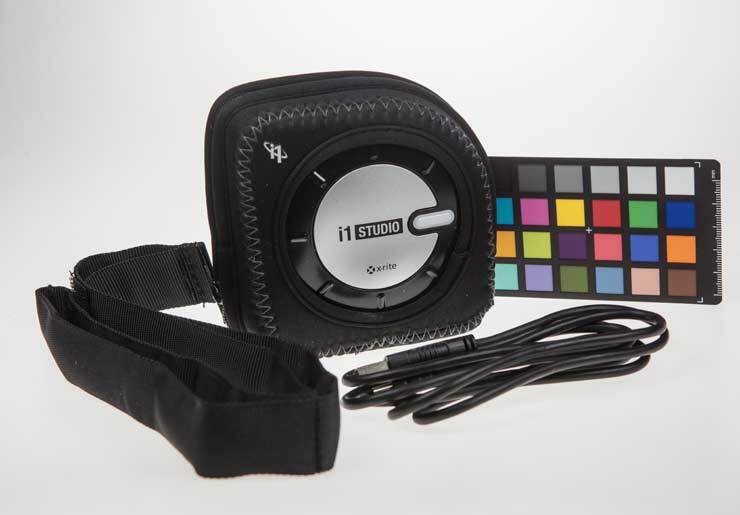 The i1Studio spectrophotometer is based on the ColorMunki Photo [Keith’s review]. 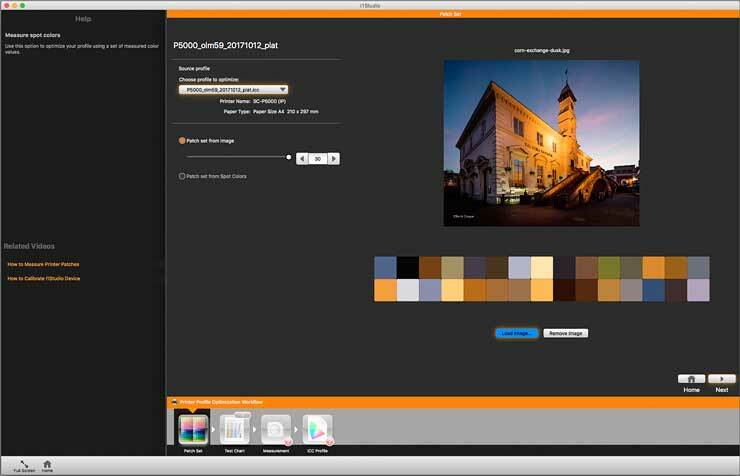 ColorMunki Photo users can upgrade to the i1Studio software without charge. Update Feb 2018: V1.1 of the software adds the ability to save measurement data and offers ICC V2/4 support. 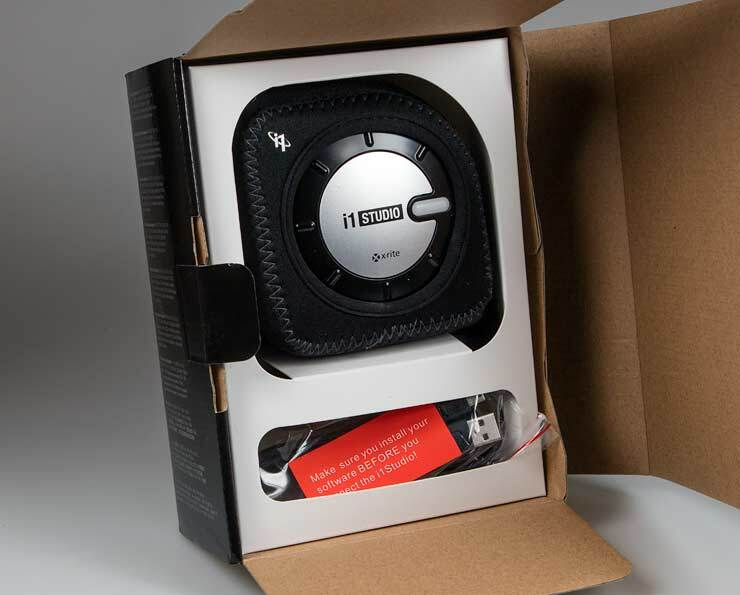 The boxed version of i1Studio comes with a soft case, USB lead and a ColorChecker24 card. The device itself is a spectrophotometer that measures light, splitting it up into a large number of small spectral bands (colours). This light can come from a screen, projector, ambient room lighting or reflected off any material from the internal light source. It’s these measurements that are used for calibration and profiling. The device also comes with a ColorChecker Card, with 24 standard coloured patches. 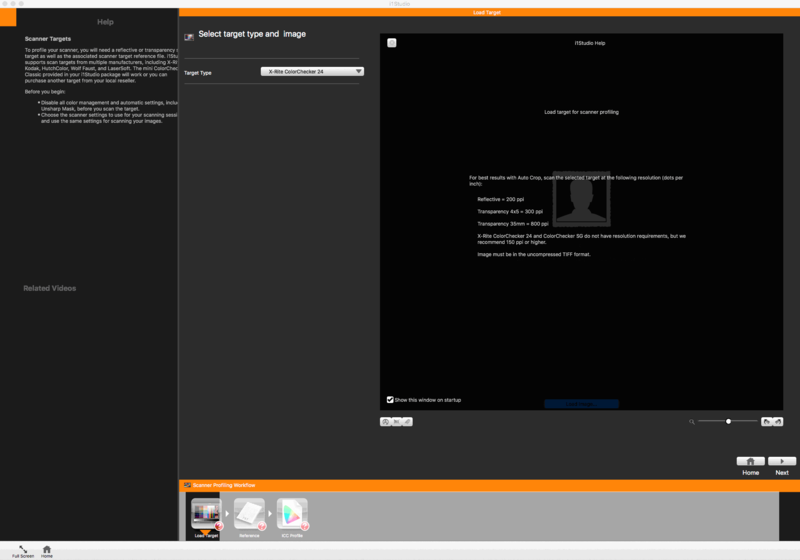 This can be used for creating profiles for your camera or a scanner (other targets are supported). The large strap is weighted and lets the device hang in front of your monitor for calibration and profiling. X-Rite give this list of features. 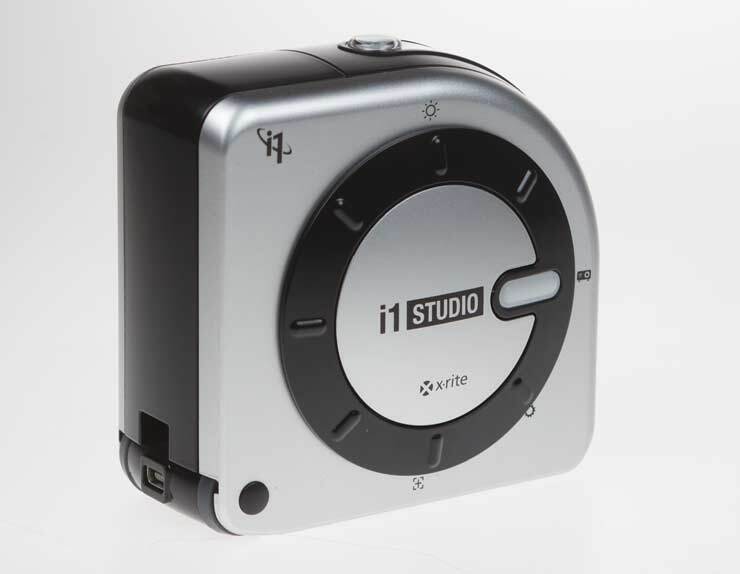 i1Studio Device: The all-in-one i1Studio spectrophotometer lets you profile monitors, projectors, scanners, mobile devices and printers. NEW i1Studio software for Displays, Projectors, Scanners and Printers: The i1Studio software, based on X-Rite’s i1Profiler software, provides an interface that delivers calibrated and profiled monitors (including video pre-sets), projectors, scanners and printers, including a new dedicated Black & White print module for creating custom profiles for five different B&W looks. I’ll look at these functions in some more detail and link to articles where I may have more in-depth coverage of features. 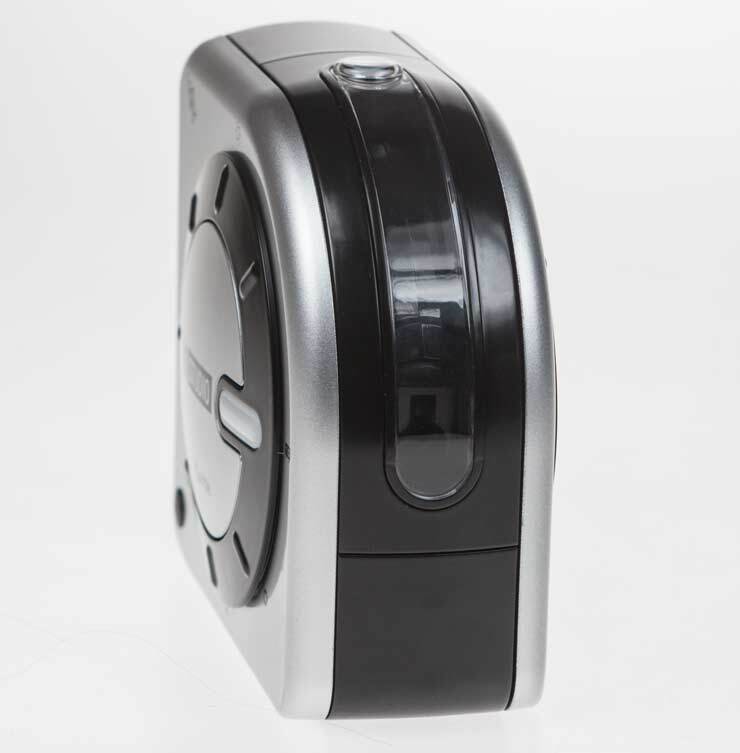 The spectrophotometer mechanism is central to the device and rotates for different uses. The white bar is pointing to the projector icon at the right. Looking through the clear window, you can just see the measurement aperture of the spectrophotometer. The bump at the top is a diffuser for ambient (room) light measurement. The bar (which lights up in use) now points to the measurement aperture, used for measuring the coloured patches on paper profiling targets. The little flap is an aid for placing the device at a particular position for making spot measurements of colours. 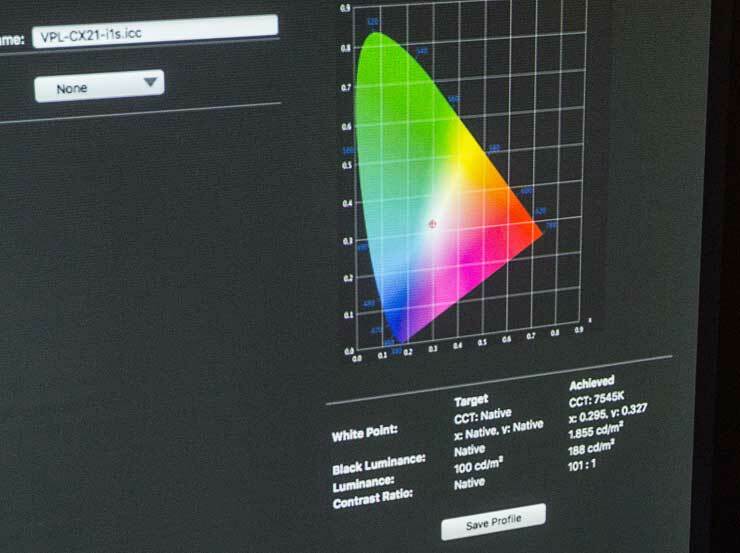 i1Studio handles Monitor/projector/printer setup, whilst the ColorChecker Camera calibration software lets you create DNG profiles. 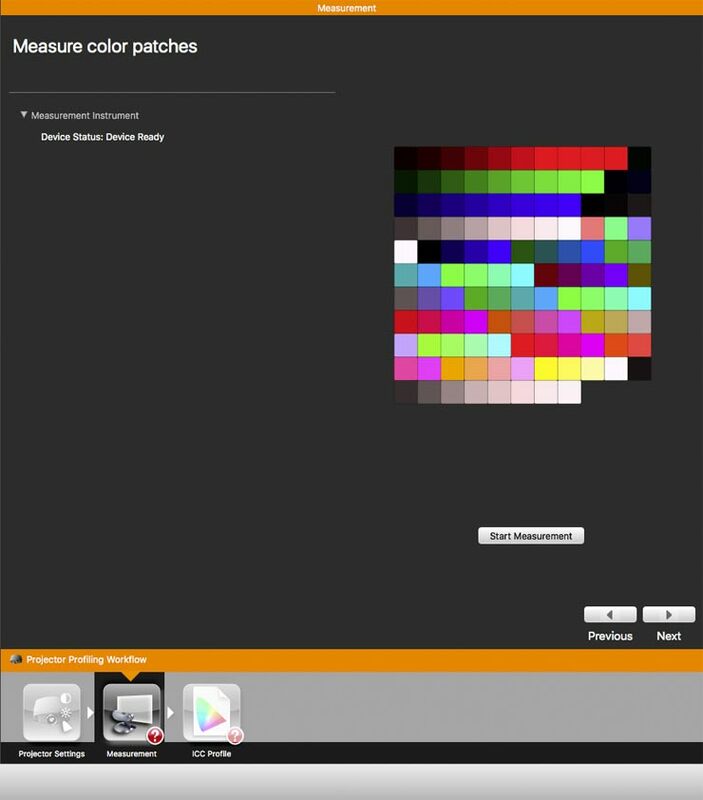 ColorTRUE is an iOS download for mobile devices. 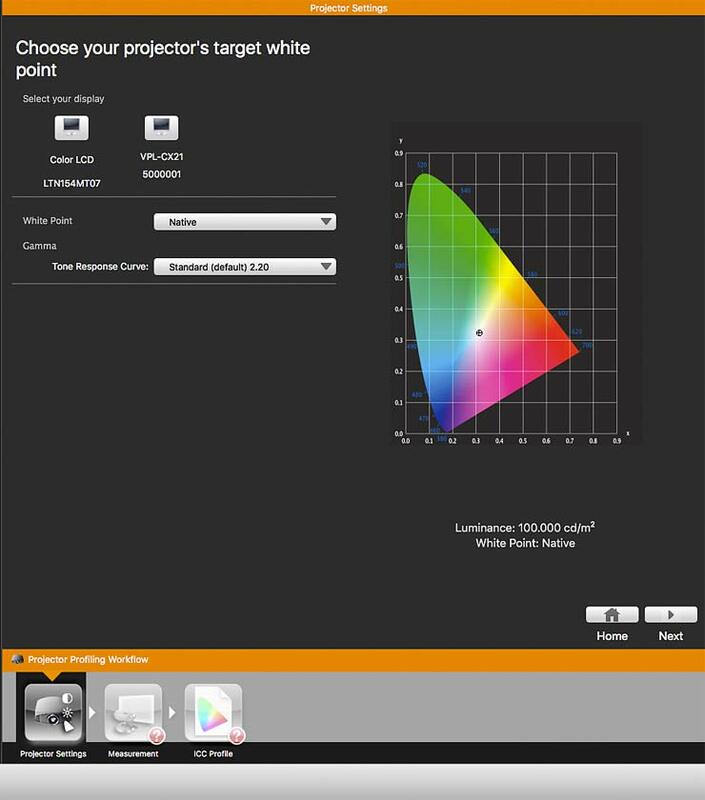 For more info about ColorTRUE – see my ColorTRUE review of using it on an iPad with a Camranger a while ago. I don’t have a new enough phone to test it with the i1Studio. You should install i1Studio before plugging in the device. I’m going to assume that if you’re in the market for a device like this then you don’t need me to explain the benefits of a calibrated and profiled monitor. For more info. 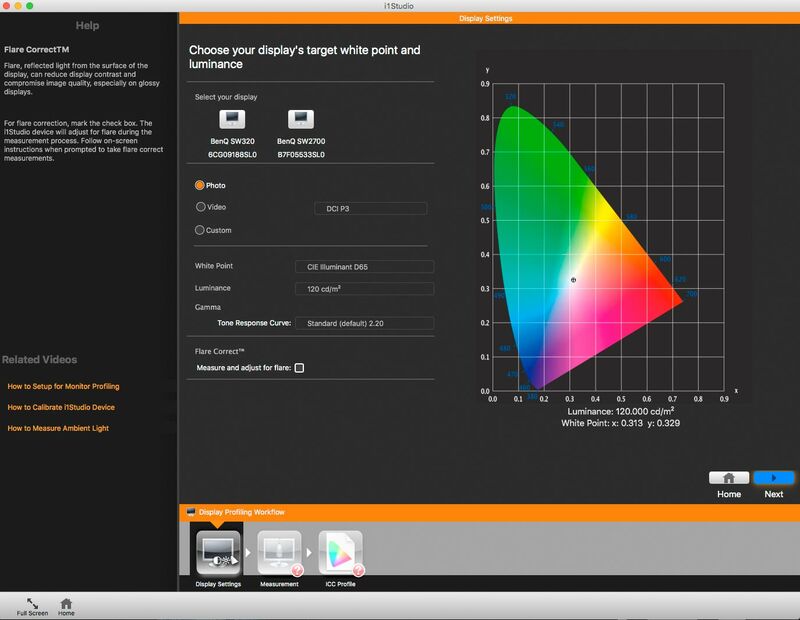 about monitor calibration have a read of my i1Display Pro or ColorMunki Display reviews. Before measuring my screen, I need to specify some profiling settings (and select which screen if I’ve several). 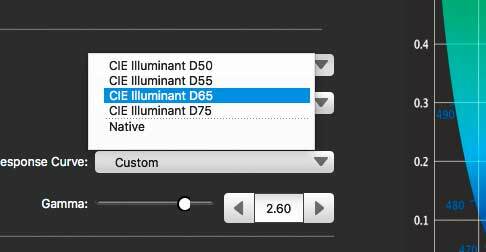 The options range in complexity, with the simplest ‘photo’ setting at a whitepoint of D65 and a luminance (screen brightness) of 120 cd/m2. 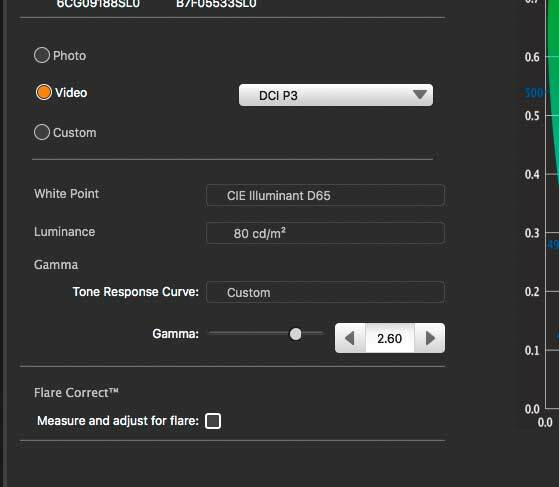 ‘Video’ offers a number of preset whitepoint/brightness options. Gamma can be set as you want. ‘Custom’ offers a few fixed options for brightness and white point. ‘Native’ or uncorrected is most useful for projectors. Tone curve is best left at 2.2, unless you know why you need something different. 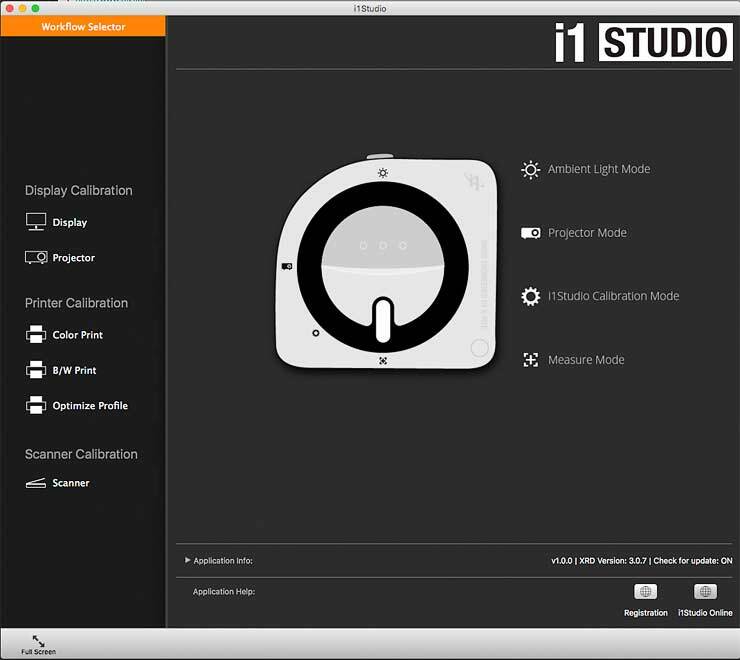 It’s possible to use the i1Studio for ambient light measurement, to set a screen brightness. The picture shows the device right in front of your screen. If you want to make use of the measurement, then write it down, since in common with most functions of i1Studio, there is no facility to save measurements whatsoever. 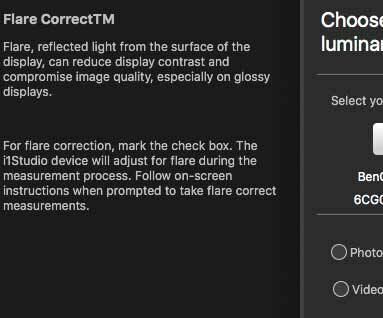 One other checkbox you might note is the ‘Flare’ option, where you need to point the i1Studio device at the screen form a distance. This is aimed at bright shiny screens in fairly bright environments, where the device gets to measure both light emitted and reflected from the screen. An interesting idea but from my POV of similar utility to automatic setting of screen brightness. I guess you shouldn’t sit in front of such a screen wearing a brightly coloured hat whilst calibrating…. Once you’ve decided on all your settings, the device needs to be slung over your monitor to measure the screen. Depending on your screen you may need to adjust the screen brightness manually. Don’t forget to open the little cover built into the soft case. Your screen will change colour as measurements are taken. Once the process is done (a few minutes) you will be invited to name the profile, and it will be saved. There are a number of test images that you can view before/after versions of to show how you monitor has been set up. Don’t be discouraged if your monitor doesn’t change much – some new ones are quite well set up. Similarly, if you prefer the old version, then that may just be because you are used to it – go away for a bit, have a drink and return. Note: You might spot that I’m using my MacBook and Apple Cinema display in the example photos – that’s because the more advanced hardware profiling software supplied with the high end BenQ monitor [SW320 review] won’t work with the i1Studio (or ColorMunki) devices. This is due to a device support policy from X-Rite, not BenQ. With projectors I’d normally choose to use a native white point, since white on the screen is likely to be the brightest white people are looking at and their visual system will adapt to this. It’s also likely to be the brightest display with less tendency towards banding. 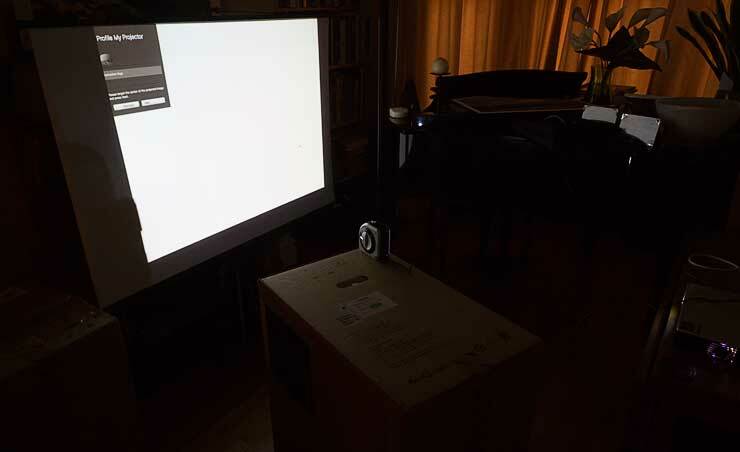 With the Sony projector I’m using, I spent quite a while adjusting it by eye (trying different display modes) some time ago, to find the setting that worked best with calibration. As with monitors, a set of coloured patches will be displayed to measure. The device needs pointing at the centre of the screen. After measurement, the results show some quite noticeable differences between what was displayed compared to the targets. This is quite normal for many older projectors (it works well, so isn’t going to be replaced any time soon). 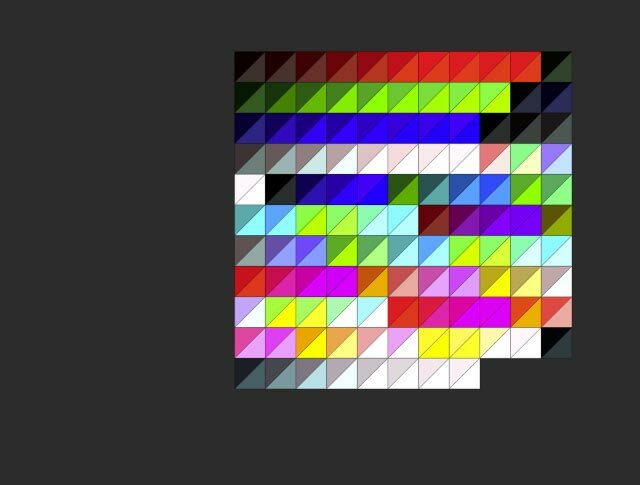 There are a number of test images in the software package – they give a good feel for the change from calibrated to non calibrated. As an aside, all these test images can be found inside the software package that’s installed on my Mac – tiling them all together on one A4 sheet makes for a very useful test image for printing. I can also see a few numbers related to the performance of the projector. Remember that it’s the combination of screen and projector that you’ve generated a profile for, and that ambient light affects things too. For my work, showing the odd photo in lectures and workshops, this is just fine. If you’re using a projector to compare photos, then you may want to take more care with initial setup and experiment with different settings. 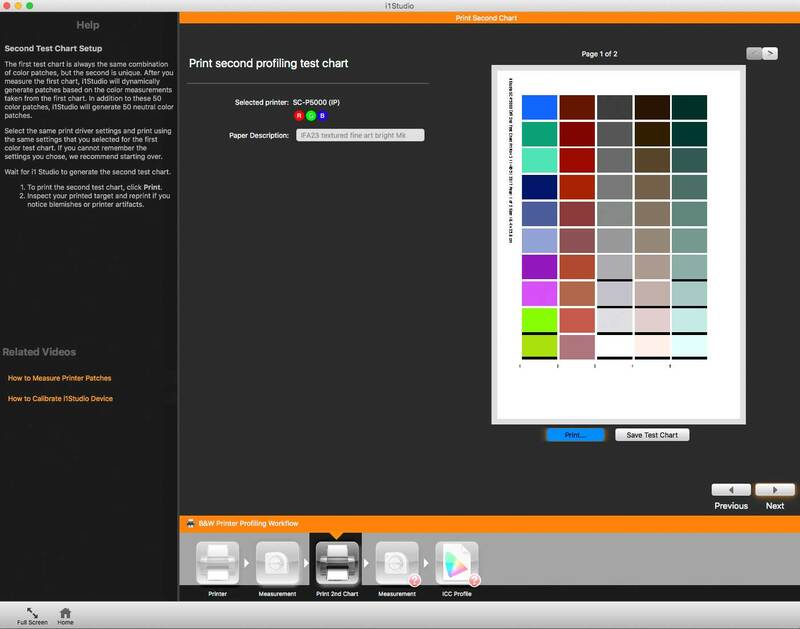 With monitors, the software displays the coloured patches to measure, with printers, you print them. 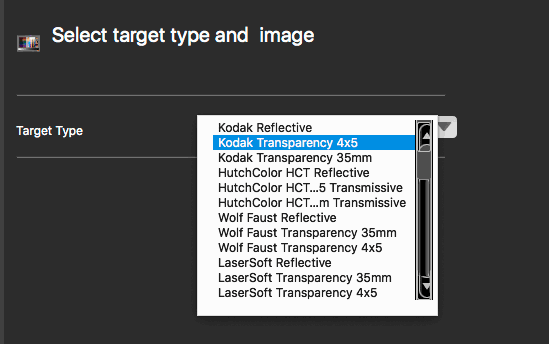 For scanners, you need a known printed target, such as the ColorChecker 24 card supplied with the i1Studio. You’ll need to create a scanned target image for the software to work with. There are a few things you need to be careful of here. I tested this with my old Epson1200U scanner, on my Mac. The default scan software can save as a TIFF file, but not uncompressed, as demanded by i1Studio. Fortunately, if you open the TIFF file in Photoshop and then save it as ‘uncompressed’ it will work in i1Studio. These are likely to be of more use with advanced scanners, but you will need to check your scanner software to ensure that images are correctly exposed and have not had some ‘default profile’ already applied to them. If you need to change the target reference data, you can load it directly. Here’s a scan of the more complex ColorChecker SG card. Whilst the software can auto-detect some targets, this one needed rotating and manual placement of corner markers. The important thing to note is that those little squares need to fit completely inside the patches. 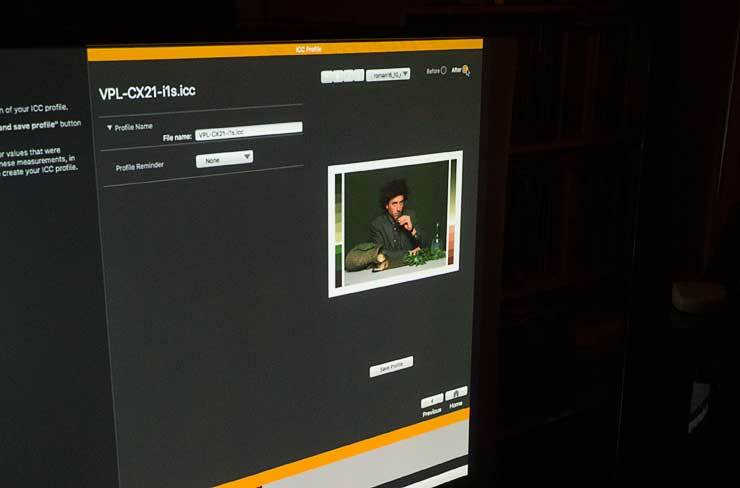 The software will tell you if it thinks the scanned image was not good enough. The software has quite good help and support notes available. 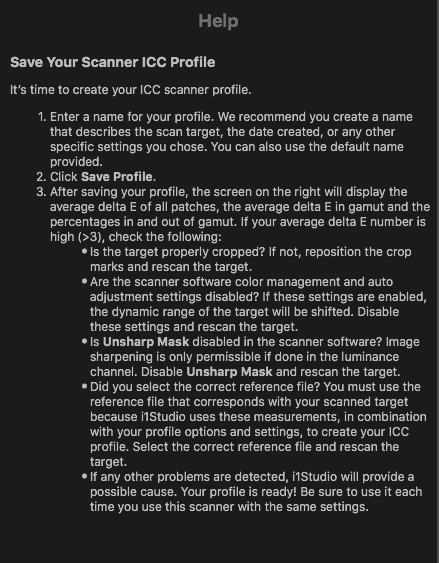 This example refers to saving scan profiles. This part of the i1Studio package is identical to that found in i1Profiler, so if you’d like some more info and a lot more examples, have a look at my original scanner profiling with i1Profiler review. I’ve also used this software when profiling the Epson V850 scanner in my review, which also addresses the problem of using up to date target reference files. You’ll note that this isn’t listed in the i1Studio software. 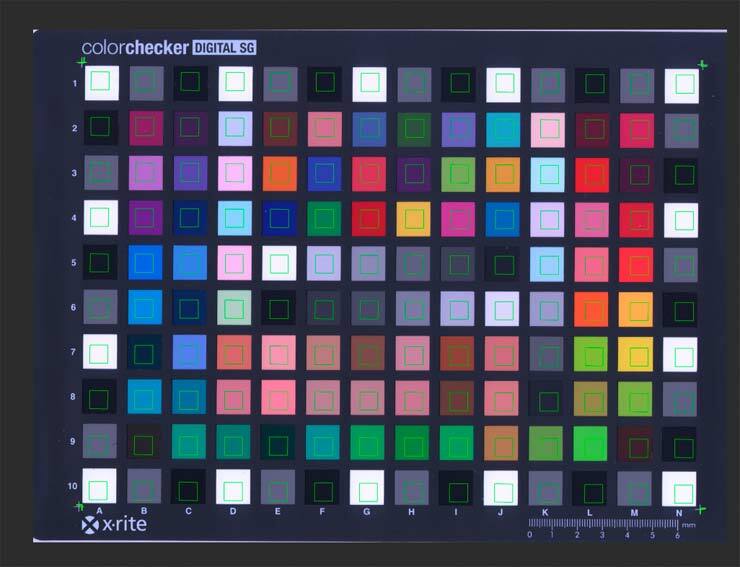 That’s because the software you use is the ColorChecker Passport software, with the supplied ColorChecker24 target. Rather than make this review any longer, I’ll just suggest reading my ColorChecker Passport review. 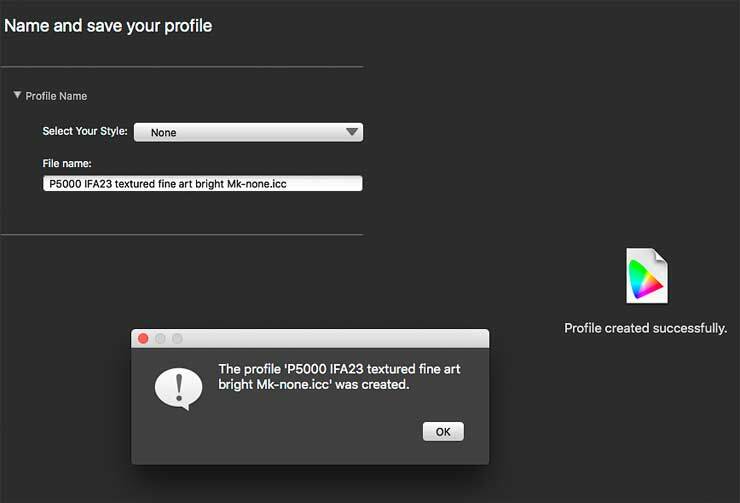 Note that the profiling is for creating Adobe DNG profiles – NOT camera ICC profiles. 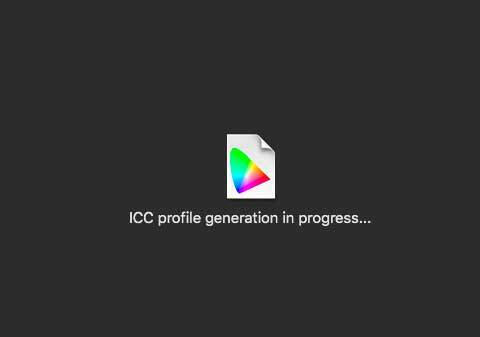 Camera ICC profiles have not been a feature of any X-Rite software for many years – last time I looked at this (and to be honest found them likely not worth the trouble for many people) was with i1Match and the CC SG card. I do keep a CC Passport in my camera bag though, where it’s good for shots in mixed lighting (think factory floors) even without making DNG profiles. Printer profiling requires you to print a pattern of coloured patches and then read them in with the i1Studio. After this, the software creates a second set of patches to print and measure. The full set of measurements is used to build a printer profile for the paper and printer you used. This profile is used when printing to produce a ‘better’ print. In the case of i1Studio there are also options to produce profiles optimised for black and white photo printing. 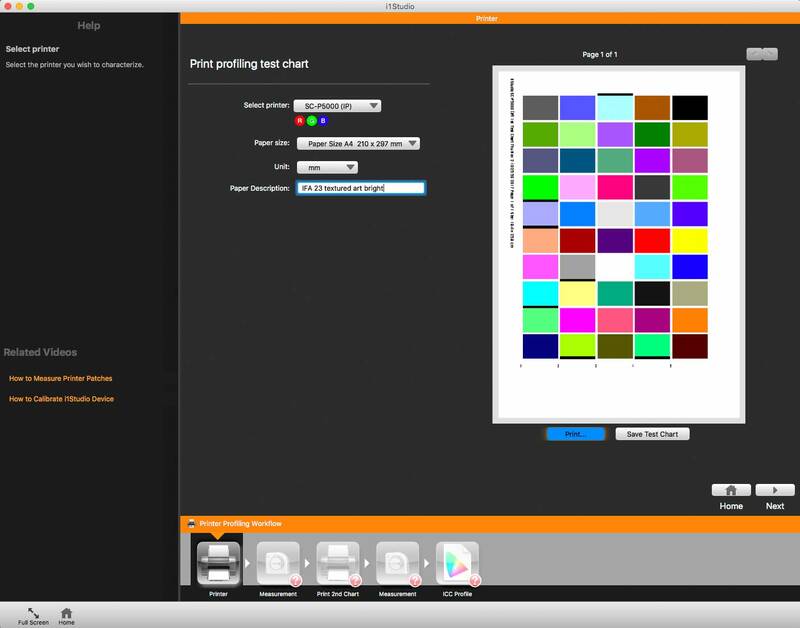 The software works for any RGB printer. All photo printers are treated as RGB ones, even those with CMYK ink sets. The RGB refers to the driver. 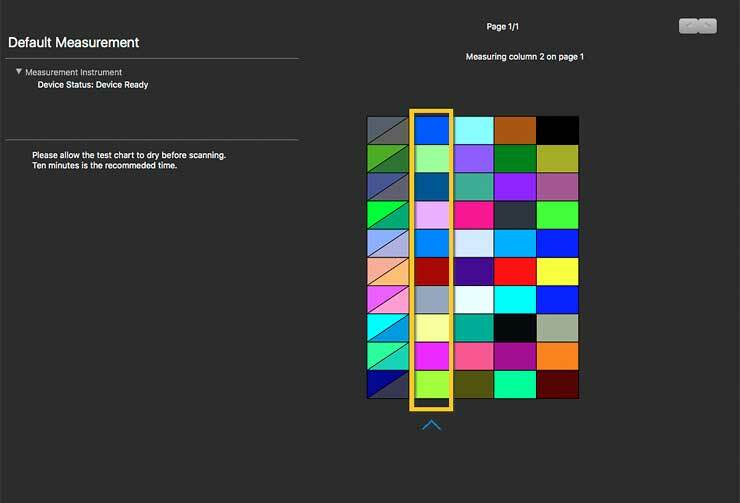 If you know what CMYK profiles are and need them, then I’m afraid the i1Studio is not the solution for you. The colour targets can be printed on different paper sizes, but I chose A4, since it prints easily on the 17″ roll paper I’ve got loaded into the Epson SureColor P5000 I recently reviewed. It is possible to export the target image as a TIFF file, if you don’t want to print from within i1Studio. I’m printing from within i1Studio using the normal print driver (colour management is turned off for me, as required for target printing). 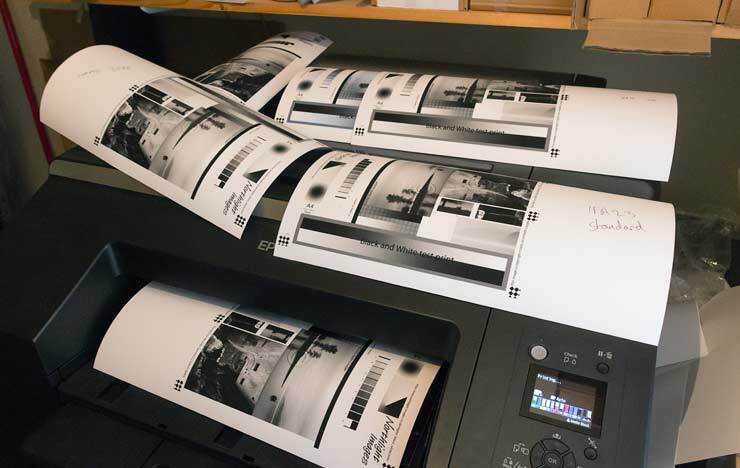 If you are not printing from i1Studio, then make sure that no colour management is being applied, since this is a surefire way to break your profiling. Not long after, I have a print – it needs to dry thoroughly. One note here… I’m printing on Innova IFA 23, a textured bright white art paper. I know from previous testing that the USFA media setting is best for this printer and paper. 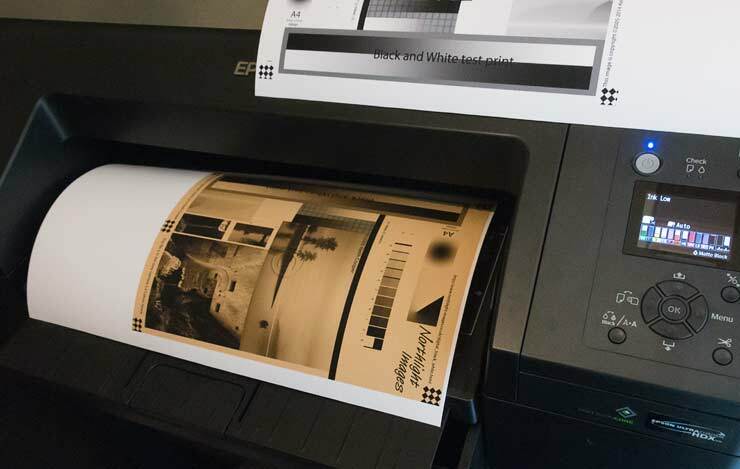 If your paper is not an OEM one (Epson in this case) then make sure you are using the optimal media setting for your printer. Most manufacturers will provide this information, but you may have to guess. 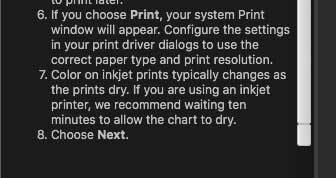 This is especially important if you are using 3rd party inks, no matter how ‘compatible’ the salesperson told you they were… Quite a while ago I wrote some notes about choosing media settings, the printer involved is long gone, but the principles are still relevant if you are curious. The software says to leave inkjet prints for 10 minutes. Experience in making high quality ICC profiles for many different papers tells me that in general this is completely inadequate. Yes, there are papers that will be dry enough to profile in 10 minutes, but an hour is better for many high quality papers, and for some art papers I’d want to leave them overnight. Not only will the surface be more resistant to marking, but with some papers, it takes a while for full shadow detail to develop. Eventually you’ll need to measure the target. First up, your i1Studio device needs calibrating. 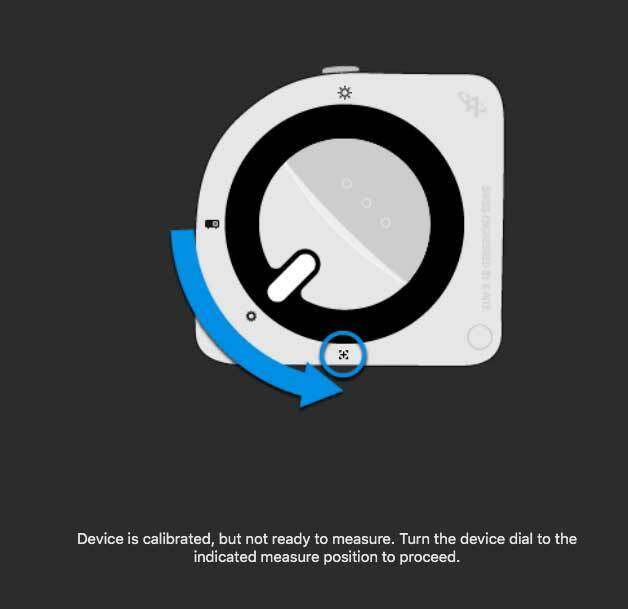 The device can internally calibrate itself, but you need to turn the dial to the calibration position. This takes a few seconds, after which you turn the dial so that the i1Studio can measure what’s underneath. You’re now ready to measure the chart. This is very simple – simply place the paper on a solid surface. Note how I’m using some paper under the print – I don’t want the wooden desk influencing measurements. Position the device at one side (I’m right handed) just before the start of the row. Press the button and move the device smoothly over the strip, releasing the button when at the other side. Be sure to start and finish your measurement run on plain unprinted paper. As each strip is successfully measured, the measured data will appear on the screen. Here I’m about to start measuring the second row. Don’t worry if the measured patches look quite different to the colours on the screen, this is quite normal, and the software will alert you if anything is wrong (such as measuring a target ‘upside down’). 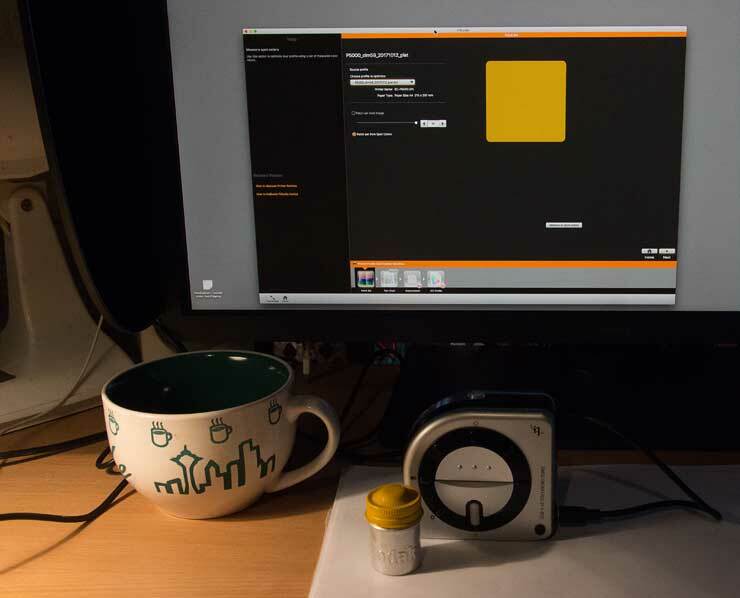 The next stage is to let the software decide what it wants to print for the second measurement set. It takes a minute or so to generate new targets to print. Print these – wait for them to dry – and measure as before. Choose a meaningful name. – you will be glad you did this at some time in the future. I generally include at least the printer type, the paper name and the media setting. I’ll also include any special reminders, such as ‘mk’ to remind me that the profile is to be used with matt black ink as opposed to ‘pk’ for photo black. Now I’ll have a look at the B&W profiling, since it’s essentially the same process, with a few different options. The first chart is the same, but the second chart immediately shows three columns of uniform colour at different brightnesses. These help refine the B&W and near neutral behaviour of the profile. The second page continues this. When it comes to naming the profile, I get several ‘style’ options which reflect different uses for the profiles. I do perhaps question the use of the word ‘none’ here? This is what the notes say the profile types are used for. Don’t quit i1Studio at this stage. You still have measurement data and can build profiles of all four other B&W types just by selecting a style and providing a new (unique) name. If you quit or go to a different section of i1Studio, your measurement data will vanish. Here’s a new profile being created, after I’d made a sepia one. Remember that i1Studio will not let you save -any- measurement data, so finish making profiles for a paper before going on to creating 2nd stage charts for any other paper. I’ve tried to keep tables and charts to a minimum, but if you’ve read any of my printer reviews, you’ll know that I’m always keen to try out B&W printing, and especially how linear it is. My ideal B&W print setup starts with bang on neutral greys and a linear response (i.e. no shadow crunch). Few print setups get really close, and I’ve looked at making correction profiles and curves that even up print linearity. I’d note that this isn’t essential and quite often the as-is B&W print capability is close enough (see my recent Epson P5000 review for more about this). 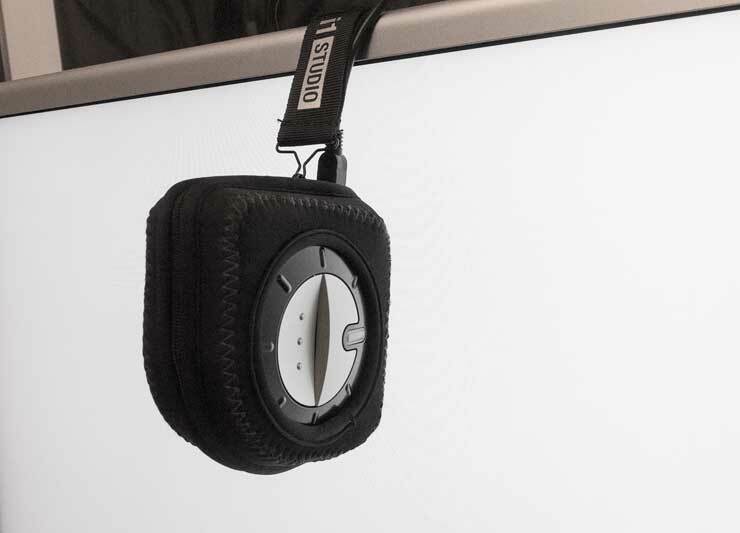 B&W print fans will see the functionality of i1Studio and wonder if it’s what they have been waiting for? First the ‘standard’ B&W mode. This has better shadow detail than many normal colour profiles I look at and is actually better than I often see from both Canon’s and Epson’s custom B&W print modes (such as ABW for Epson). A bit of an ‘S’ curve will boost contrast a bit, but it’s actually quite good. Now the ‘none’ version which you’d use for colour if you wanted to optimise neutrals – or use with a lightly toned/tinted image. This is a much more familiar shape – the crunched up blacks of the 90%-100% zone are typical of what I try to even out. 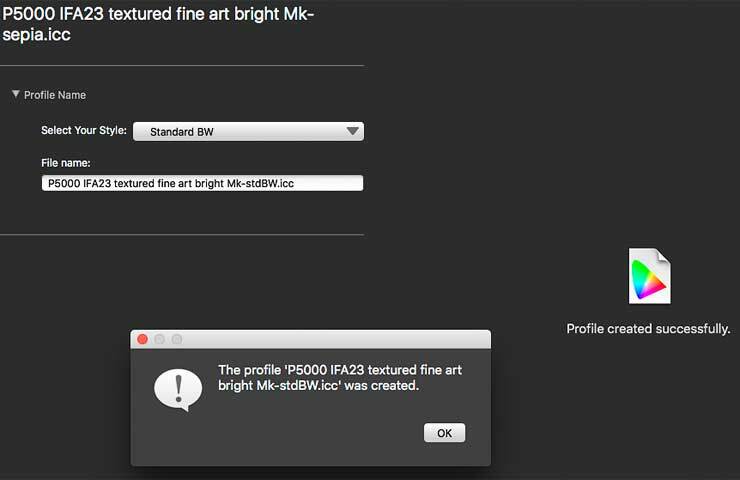 Profiles can be further refined by creating a new patch set, which when measured, is used to refine a profile’s accuracy. 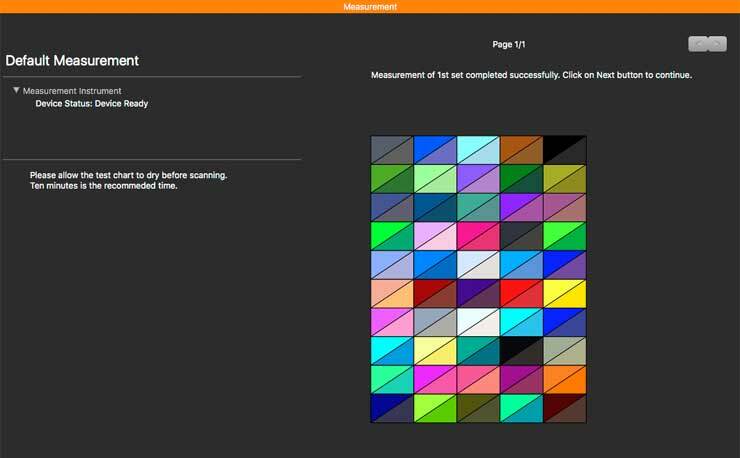 Or you can add spot colours by measurement. In this example, I’ve added the yellow from an old Kodak film canister. After this, you can generate a chart, print, dry and measure it, and get a new improved profile. The optimisation can help, but don’t expect it to fix everything. 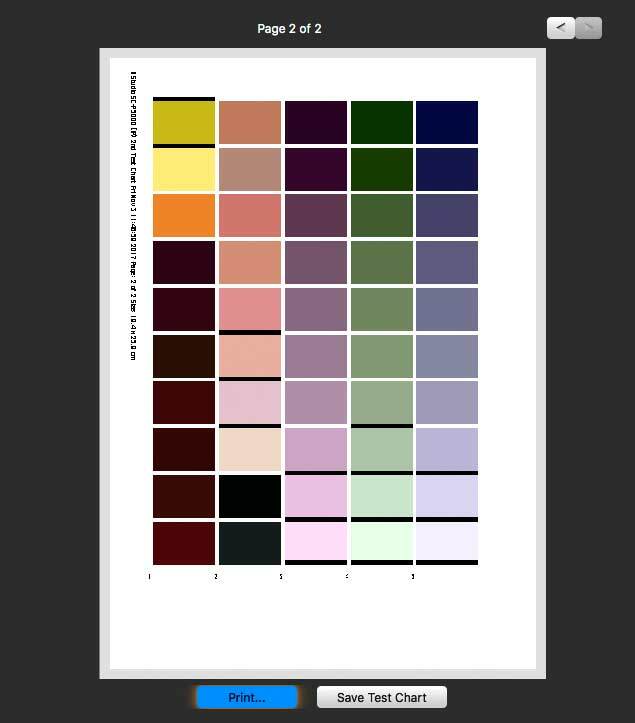 An example would be colours that are out of gamut for what your printer/ink/paper combination can handle. It’s quite possible that an image edit is all that’s needed – remember that the best looking image on a screen does not always equate with the best looking print. Ok, that’s a lot of stuff covered – how did it all work? The i1Studio is pretty much the same physical device as I reviewed several years ago under the ColorMunki name. The old device will work with the new software (so worth trying). At the time I thought it a great device, but for more advanced users, hampered by aspects of the software package workflow limitations. The good bit is that the software has been completely re-written and is essentially based on X-Rite’s mainstream i1Profiler package. The not so good bit…? Well I’ll come to that in a bit, since it very much depends on what you want to do with your i1Studio and how much advanced functionality you feel you should get for your money. Let’s look at the basic functionality and what it does for you. 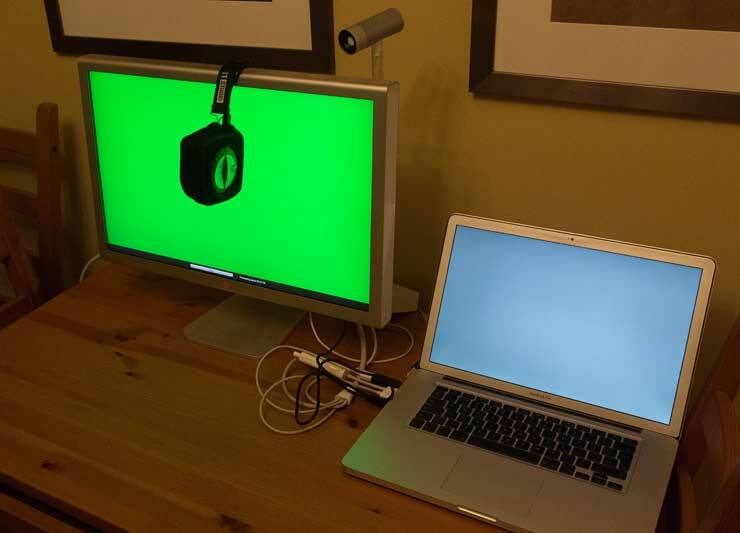 Both my Apple 24″ Cinema display and MacBook Pro looked a lot better after calibration – this shouldn’t surprise me, since I’m effectively using the same software code, that I’d normally use for calibrating them with an i1Display Pro or i1Pro 2. As long as the settings you want are available, or you’re happy with default options, then the monitor profiling and calibration works very well. 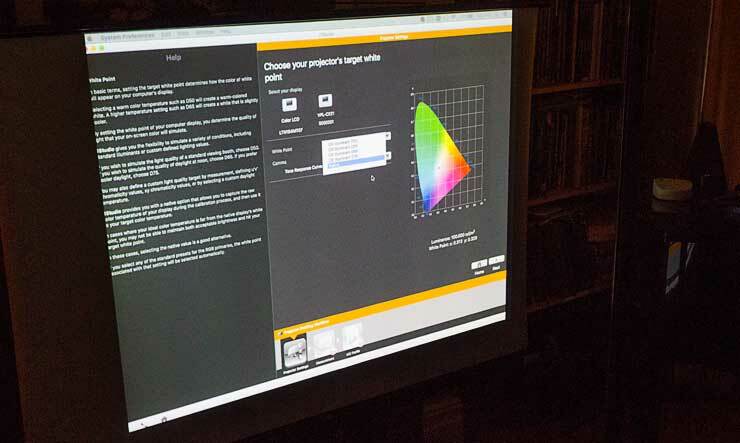 Simple to set up and use, it produced a noticeable improvement in image quality for my ageing Sony projector. The supplied ColorChecker 24 target is great for improving your basic scanning, but you will need a good quality scan target for more advanced work. My feeling was that the profiles were a tad better than with the ColorMunki software. Certainly target scanning seemed easier and less error prone, than with the old chevron targets. If you were hoping for lots of charts and graphs comparing gamut volumes and other profile data, then this probably isn’t the review (and maybe product) for you. Firstly, I regard any such charts that are included without a -lot- of explanation on how to interpret them and decide what numbers are relevant, as more decorative than useful. 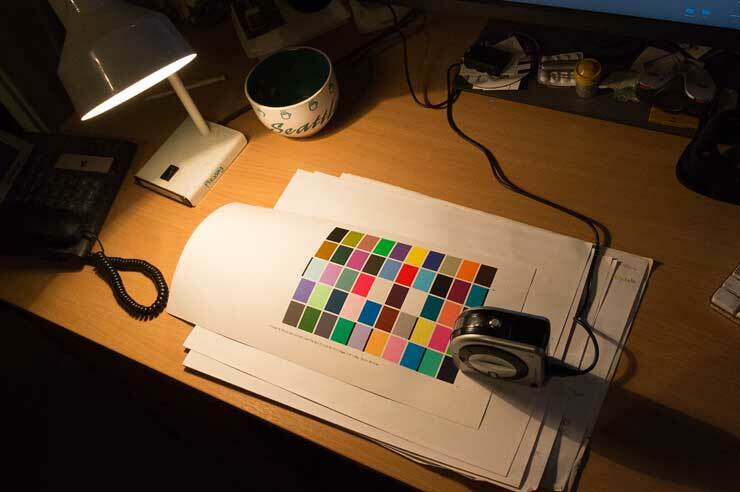 My approach to evaluating the colour profiles favours printing a few known test images and seeing how the photos look. Are the profiles I’ve made good enough for prints I’d sell? Actually yes they are… I’ll address some of my issues with the software in a bit, but profile quality isn’t amongst them. Most papers produced quite acceptable profiles and benefitted little from a further optimisation stage. This could partly be because printer have advanced quite a bit over the years. I was testing this time with the Epson P5000, using Epson UltraChrome HDR inks, compared to my original ColorMunki Tests using the Epson SP4880 with UltraChrome inks. Colour profiles worked well and didn’t show any problems arising from the spectrophotometer being equivalent to the old UV Cut versions of the i1Pro. Not having UV light in the light source is one approach for handling OBA issues in papers. 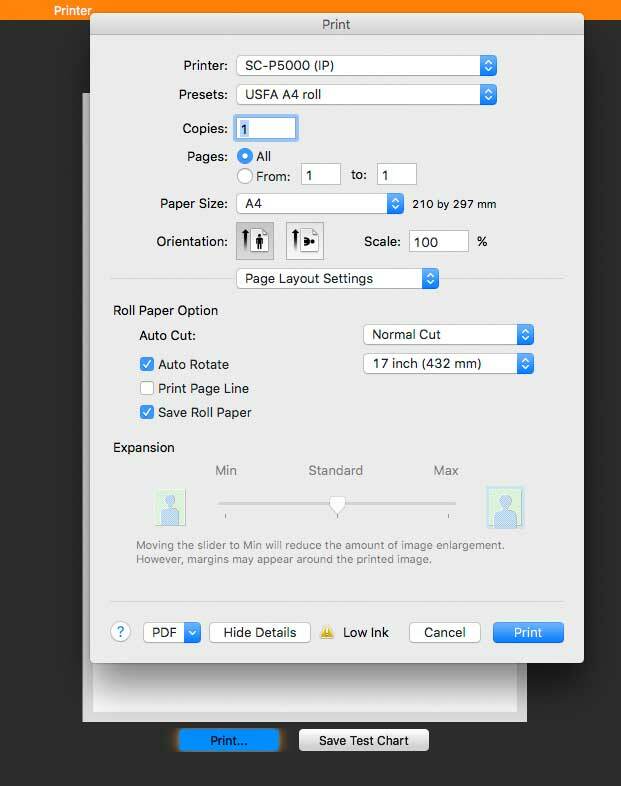 The B&W profile options give 5 basic options for B&W printing. Three print ‘straight’ B&W, whilst the other two give sepia and platinum style print effects. The ‘none’ setting is actually a colour profile that optimises neutral colours – so will print a B&W image as B&W but a colour one in colour. The different results can be previewed if you enable soft proofing in your print software (I’m using Photoshop CS6 here). 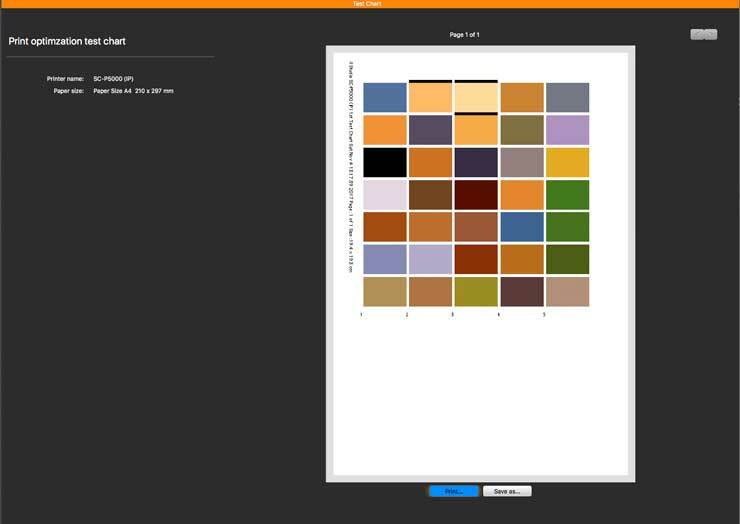 The profiles are meant to be used with the perceptual rendering intent – they do work with RelCol (BPC should be enabled)/saturation and offer a normal colour profile. Here are 3 soft proofs of my standard B&W test image. 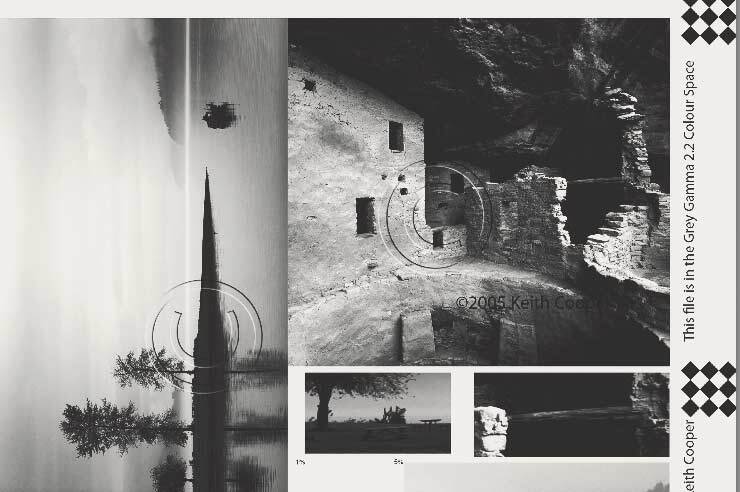 Screen shots from printing with a ‘B&W’ profile. ‘High Contrast’ As the name suggests this compresses highlights and shadows. All three are set to show ‘paper’ colour – the paper (Innova IFA23) is a bright white textured art paper (Mk ink) – why the dull colour? That’s because it has optical brighteners (OBAs) in it – we see it as bright white, the spectrophotometer of the i1Studio doesn’t. I tried papers with and without OBAs and didn’t see any obvious issues with the profiles. If you looked at the couple of charts included earlier, you’ll see that one of the profile types ‘Standard’ has a noticeably different type of tone curve and does not crunch up shadows to the extent that many B&W print solutions do. This is genuinely useful and I look forward to a more advanced (i.e. adjustable) version being available for i1Profiler. 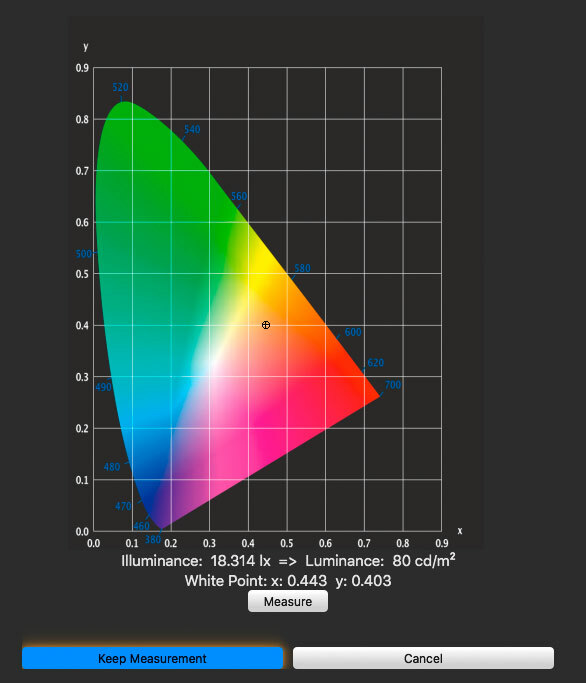 With monitor calibration, I have a relatively limited selection of White Points available in the custom section – if you want one of the video settings, then there is no adjustment of luminance that I can see. I don’t use video enough to know if these settings are optimal. For more advanced profiling you’ll need an i1Display Pro (cheaper) or i1Pro 2 and i1Profiler software (more expensive). 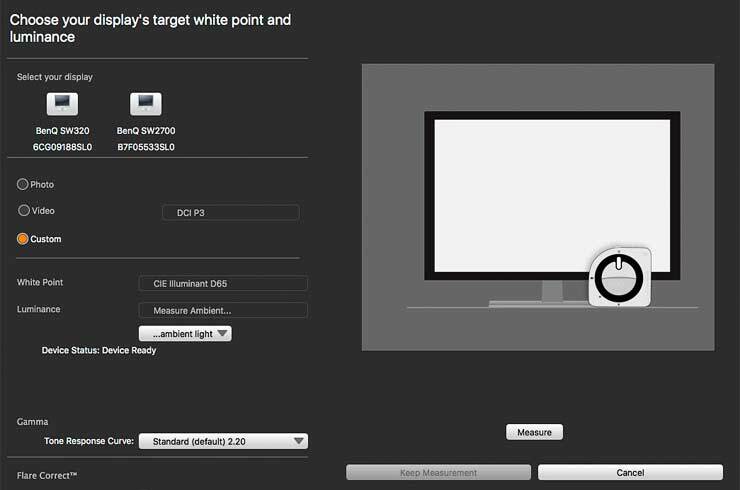 The i1Studio was of no use for calibrating the BenQ SW271 4k HDR monitor I was looking at on my main Mac, for a review – why? 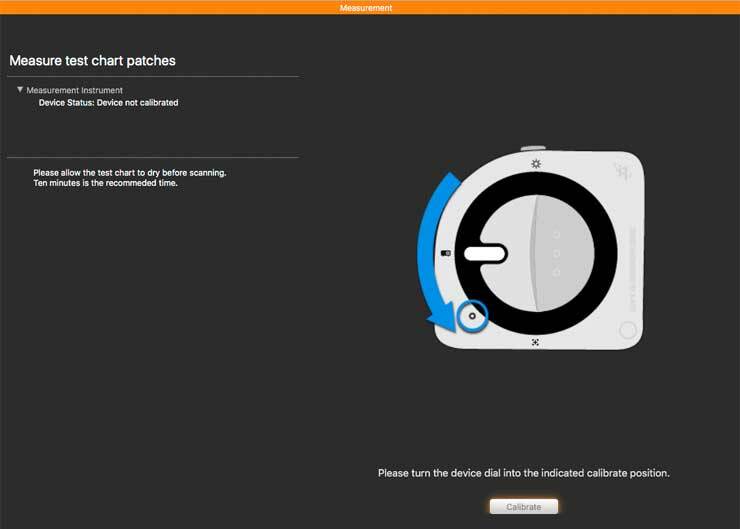 Well, that monitor comes with specialist profiling software to enable hardware calibration. This works with a wide range of measuring devices (from different manufacturers – see the review), but not the ColorMunki, and as yet not the i1Studio device either. 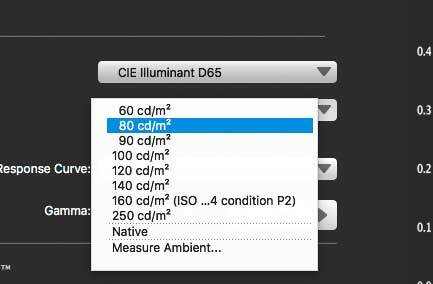 The software lets you measure ambient light, but then you can do nothing with the data other than to use it for setting luminance, through some arbitrary conversion. 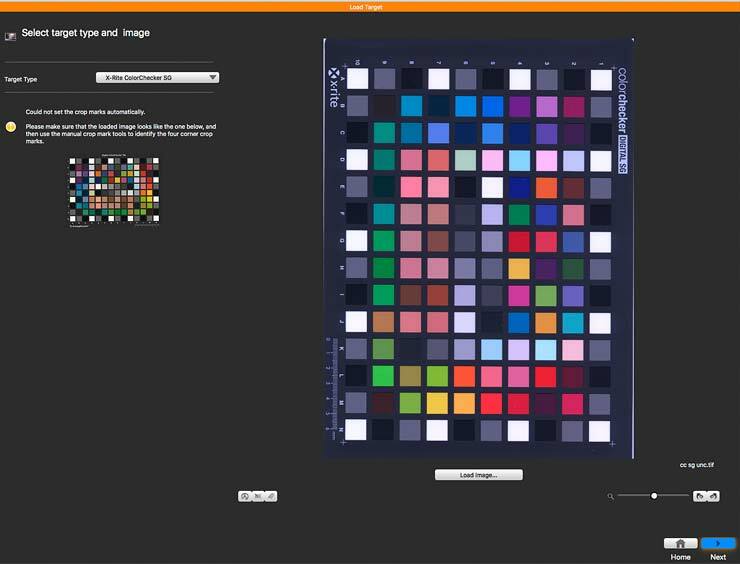 i1Studio has no facility for measuring individual colour patches and saving data. Indeed it’s this wholesale lack of ability to save any measurements that most irked me during testing. It puts paid to the method of generating QTR profiles that I tried a while ago with the ColorMunki… If you are upgrading just the software for your ColorMunki Photo device, don’t ditch the old software. The software creates only V4 ICC profiles (there is no V2/V4 switch option) – whilst was not a problem for me, I understand that some older print software may have had issues with them. Let’s say I have 5 papers I want to make profiles from (not unreasonable if you do much printing and want to go to the trouble of making your own profiles) I can print the first sheets and let them dry. I now need to measure each one to produce the second sheet(s) for each paper. When I print the second sheets, I need to wait for them to dry before measuring them and making a profile. I can’t get on with producing the second sheets for another paper, since the profile generation needs the measured data from the first sheet -and- second sheets. If only I could save measurement data, then I could run the process in parallel and leave prints to dry for a good amount of time. How long? Well the software suggests 10 minute which frankly I regard as ‘optimistic’. I’ve come across papers that you could get a decent set of measurements from after 10 minutes, but one art paper I recently tested didn’t truly show its best shadow detail until after an overnight drying. If you have gone to the expense and trouble of making your own profiles, then why skimp on one basic aspect of the process that could mess up your results? An overnight wait means keeping the software running between first and second measurements, or remeasuring the first sheet and hoping that there has been no change that affects 2nd target values. Why would this change? Did you leave the first sheet long enough? Is it a fragile surface that could have been marked? The B&W profiles are an interesting idea, but the choice of just a few simple settings make them less useful than might first seem. If you’re into B&W printing then I’m pretty sure you are not going to trust the conversion of colour to B&W to your printer profile. Similarly, a ‘one setting fits all’ approach for sepia or ‘platinum’ is a recipe for poor use of such toning. These are effects that need subtlety and a light touch, not an on/off control. The B&W profiling really could benefit from some adjustment sliders – If your B&W printing is advanced enough to consider making your own specialist profiles, then this software is quite possibly not advanced enough to be useful to you. That explains some of my disappointment with the testing process – I’m used to being able to save and analyse data. Sure, that needs more advanced software that will cost money, but I came away feeling that the i1Studio package was unduly limited for what is not a trivial amount of money for what I assume is its predominantly enthusiast market. So, I didn’t like it? The paper profiles are good quality, my monitors and projector were much better looking than before, and my scanner could produce much better scans. This is very much a package that you need to give serious thought as to if it is what you need. Compared to the original ColorMunki, it’s easier to use and gives better results. So… if it fits your needs, a very useful package, but one that offers (as yet) no way of moving beyond its limitations. If you want to optimise profiles, then with a bit of work, you can generate very nice ones, although you have no ability to fine tune any profile generation parameters, and you are limited to using a UV cut spectrophotometer. Hint: If being UV Cut concerns you, take it as a clue that the ColorMunki is not aimed at users with your level of expertise. Documentation and support is much improved. The profiles are now generated from 150 patches rather than the 100 of the ColorMunki. Neutrals in the profiles are smoother. If this is important, there is a B&W profiling option ‘none’ that emphasises neutrals. If you want to print toned/tinted images I’d suggest that this is much better than the Sepia/Cold Tone options. One of the B&W options (‘standard’) was distinctly different in its tone curve and potentially useful for B&W print work. Update Feb 2018: V1.1 of the software adds the ability to save measurement data and offers ICC V2/4 support. This addresses one of my usability concerns, and should make the i1Studio easier to use if you wanted to make several profiles at the same time. X-Rite tell me that the only changes between the most recent ColorMunki device and the i1Studio are in the case design. That’s not entirely true since whilst you can use the ColorMunki with the new i1Studio software, the Colormunki software won’t work with an i1Studio device. 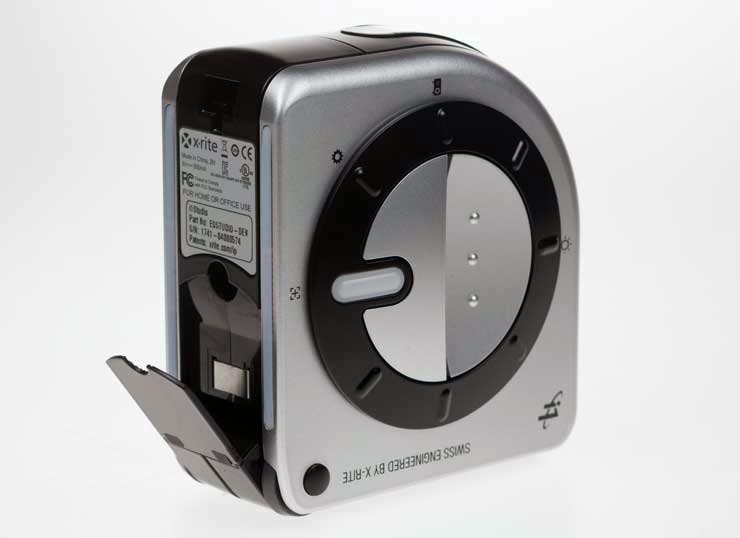 It looks as if there are differences in the circuitry handling the device talking to your computer – not the actual spectrophotometer inside. 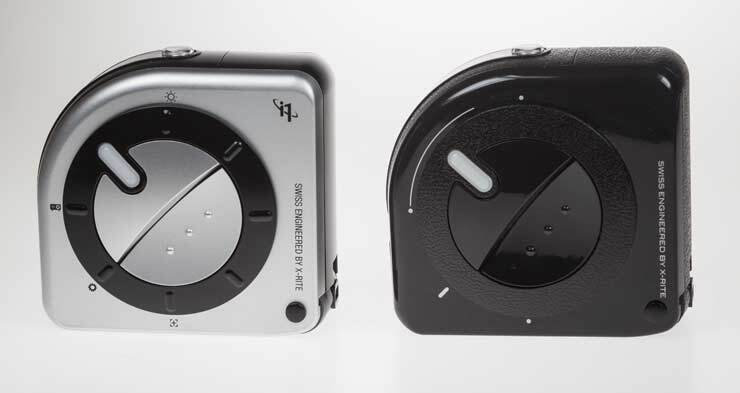 The i1Studio case with the raised bumps on the ring is similar to the ColorMunki Design package. My ColorMunki is the same one I reviewed, so getting on a bit – but it still works just fine. Windows Microsoft Windows 7, Windows 8, Windows 8.1 or Windows 10 32 or 64 bit. All operating systems should have latest Service Pack installed. 512MB RAM (2GB recommended). Intel Core 2 Duo or AMD Athlon XP or better CPU. Up to 500MB of available disk space (depending on components installed). Powered USB port. Monitor resolution of 1024 x 768 pixels or higher. Latest drivers for video card installed. Dual display support requires either 2 video cards or a dual head video card that supports dual video LUTs being loaded. Network adaptor installed and driver loaded. High-speed internet connection required for software install, download and automatic software update. User must have Administrator rights to install and uninstall the application. Macintosh MacOS X 10.8.x, 10.9.x, 10.10.x, 10.11.x or 10.12.x (with latest upgrades installed). 512MB RAM (2GB recommended). Intel Core 2 Duo CPU or better CPU. Up to 500MB of available disk space (depending on components installed). Powered USB port. Monitor resolution of 1024 x 768 pixels or higher. Latest drivers for video card installed. High-speed internet connection required for software install, download and automatic software update. User must have Administrator rights to install and uninstall the application. The i1Studio will not work if it is connected to the USB port on your keyboard or to a USB-Hub without external power supply. 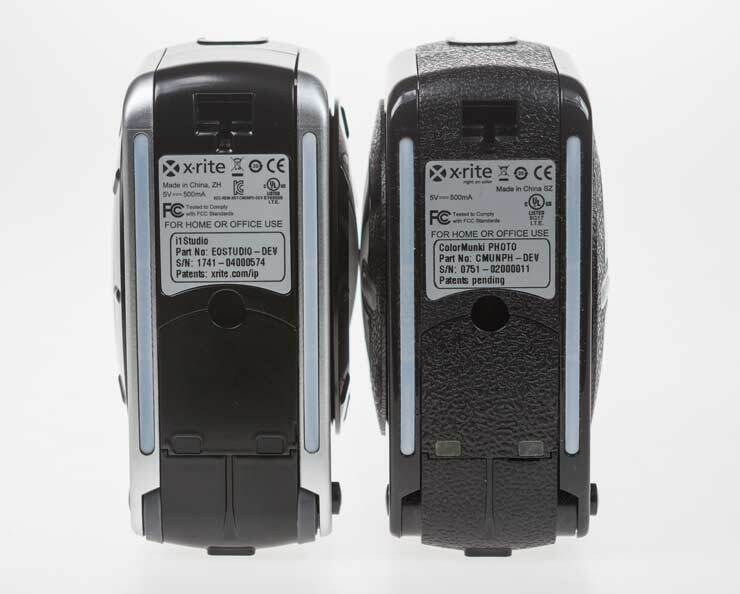 Power rating: 5VDC, 500mA.